Wrought iron furniture is becoming trendy day by day. The furniture made from wrought iron is hard, durable and is furnished with high quality paint. It’s one of the most popular choices of service providers, home decorators for dinning hall and indeed for whole interior and exterior of the home. The iron furniture represents beauty coupled with art. It is available in various styles, sizes and can be furnished with nice fabrics and colorful cushions which add to the warmth of interior. 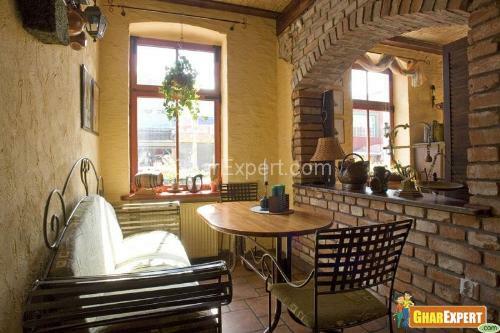 Wrought iron chairs are superb articles of furniture for a living space. These can nicely amplify splendor and warmth of your living room. The chairs are always essential elements for both interior and exterior of a house. The space without chairs shows dullness and scarcity of the place. So it’s necessary to pick excellent ones for your home. Wrought iron chairs are highly recommended for exterior of the home such as gardens, lawns, picnic spots and balconies of the houses. These chairs can be paired with dinning tables and tea tables. These chairs are highly durable and have a good finishing touch. Service providers offer these chairs to sit in hotels, restaurants, dining halls etc. 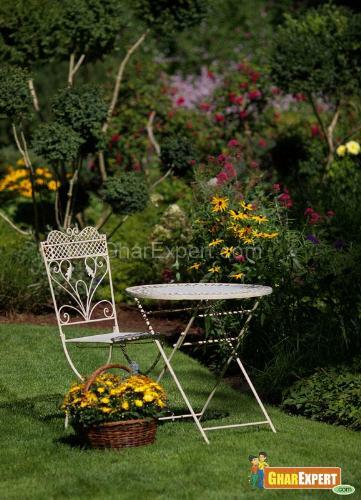 Wrought iron chair is made from refined metallic iron with small percentage of siliceous slag. These chairs add fun and style to your living room. The following are various types of chairs for your space. These chairs are finished with high quality paint for they could become durable and provide beauty and style to the space. They are electro statically coated and are anti rusting. The chairs are forged nicely for smooth finishing on all the joints to create fast bond. Available in various styles, gorgeous designs and finishes. Durable and provide artistic look to your room. Covered with cushions of various types of fabrics. Range from traditional to modern, contemporary styles . Available in a variety of options to suit your taste. Sofa is another important item of furniture which enhances the look of interior in living room . It fulfils the sense of furniture in your living space. Wrought iron sofas are perfect blend of technique and hand craft. If you have made a choice for iron sofas , you are on a right way to decorate your home very well. Iron sofas are painted nicely to make them rust free because these sofas are more prone to rusting and decay especially in moist atmosphere. It becomes necessary to apply various paint coatings on each surface of the sofa. Various types of coatings like epoxy, nylon, polyester etc give nice results. The sofas are made adeptly using solid castings on all joints to make strong bonds. Available in various finishes, durable and add artistic feel to your living room . Often covered with cushions of a variety of fabrics like cotton, silk, polyester, leather etc. Range from traditional to modern or contemporary styles. Blend elegance with functionality according to the taste of decorator. Maintain perfect polish and smooth finishing for long time. 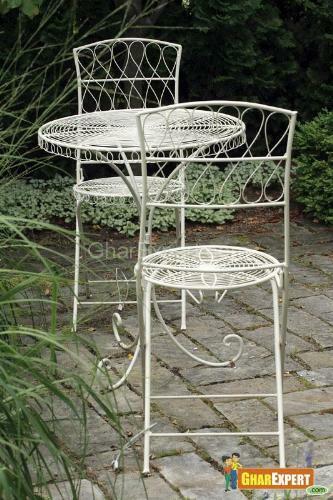 Wrought iron tables are in fashion in modern and furnish your living room with marvelous styles. Uniqueness, style and beauty are seen through these tables. These tables add special touch to the beauty of interior in your home. Wrought iron tables are electro-statically coated and are finished with high quality paint which protects them from rust and decay. Thus finished tables present nice decoration for the room. These tables add an ornamental touch to the interior of a home and offer a pastoral look to the space. They maintain beauty and style for long time. These tables are available in various finishes and are central point for any home décor. The tops of these iron tables are made from various materials like solid wood, plain glass or frosted glass, marble top, granite top, laminated top, wrought iron.